Manipur Chief Minister N Biren Singh has deeply condoled the sad demise of former Prime Minister Atal Bihari Vajpayee. Meanwhile, the State Government declared holiday on Friday for all offices and educational institutions as a mark of respect to the departed leader. 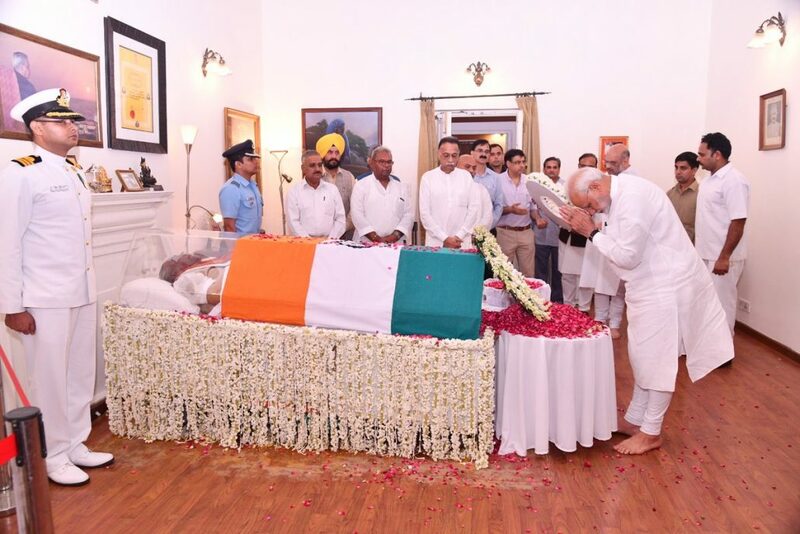 In his condolence message, Chief Minister Biren said that Vajpayee was one of the leading and longstanding politicians of the country, who had left a mark of his own during his long public life. A statesman and towering figure in Indian politics, Vajpayee was a Member of Parliament for over four decades – 10 times in the Lok Sabha and twice in the Rajya Sabha, he said. Vajpayee was one of the founders of the Bharatiya Janata Party (BJP) in 1980. He became the Prime Minister of the country three times as well, he added. Biren also remembered the former Prime Minister as a man of sharp intellect and outstanding wit. Renowned for his powerful oratory and poetry, Vajpayee would ever remain an inspiration to all Indians. He was conferred the Bharat Ratna in 2014. In his passing away, India has lost a great leader who had redefined Indian politics, Manipur Chief Minister said. He also shared grief with the bereaved family of the departed leader and the people of the country, and also prayed that the great leader’s soul may rest in peace. Besides, the State Government declared seven days of state mourning with effect from August 16 to August 22.